rare sorts of animals surround Takae District of Higashi Village in the mainland Okinawa. the people there have continued nonviolent, sitting-in resistance to protect their humane lives, peaceful circumstances, and precious nature. 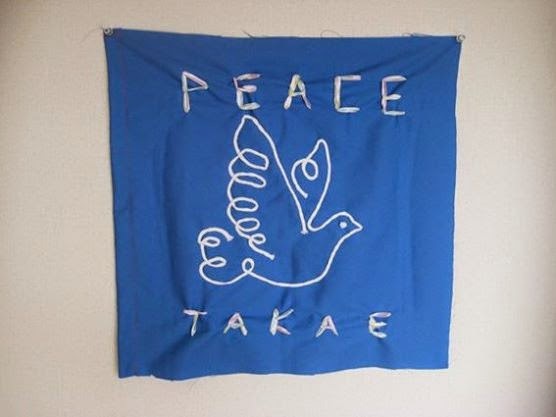 A Target Village (2013), a bunch of people are getting to know why the people in Takae are protesting. and, if possible, to make a chance for you to visit there. about Takae. Feel free to behave yourself in and around our event! Photo exhibition, and display on newspaper& magazine articles; puppet show; art-radio (featuring Yoshitaka Mouri and his friends); screening of rare films; virtual experience of MV-22 Osprey; free space for songs and comedies; coffee shop. We would also advise you “how to go to Takae,” and etc. We are also available: various sorts of food-for-thoughts shops, and, off course, delicious foods; spaces for kids to play; racks for diaper exchange. Please Note: we recommend you to bring slippers or mules (since you have to take your shoes off in part of the venue). or Kanto Bus (“ 宿02・宿08”).